in a New England forest. but completely out of sight. Can you spot the Indian Pipe? I know it's down there somewhere! I'm almost positive it's a toad. 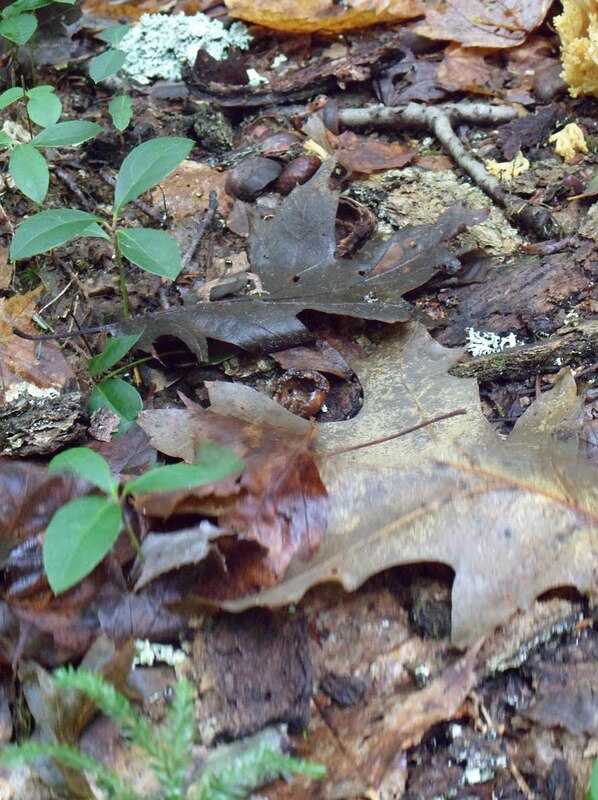 Little American toad on the oak leaf, Indian pipe dead center with three oak leaves. I agree, think it is a toad, Robert! Cool photo! But I have to admit I don't see that Indian Pipe! I had to read what the others said to even find it!